Coherent diffractive imaging of objects is made considerably more practicable by using ptychography, where a set of diffraction patterns replaces a single measurement and introduces a high degree of redundancy into the recorded data. Here we demonstrate that this redundancy allows diffraction patterns to be extrapolated beyond the aperture of the recording device, leading to superresolved images, improving the limit on the finest feature separation by more than a factor of 3. J. M. Rodenburg, “Ptychography and related diffractive imaging methods,” in Advances in Imaging and Electron Physics, P.W.Hawkes, ed. (Elsevier, 2008), Vol. 150, pp. 87–184. W. Hoppe, “Trace structure analysis, ptychography, phase tomography,” Ultramicroscopy 10, 187–198 (1982). P. D. Nellist, B. C. McCallum, and J. M. Rodenburg, “Resolution beyond the ‘information limit’ in transmission electron microscopy,” Nature 374, 630–632 (1995). H. M. L. Faulkner and J. M. Rodenburg, “Movable aperture lensless transmission microscopy: a novel phase retrieval algorithm,” Phys. Rev. Lett. 93, 023903 (2004). J. M. Rodenburg and H. M. L. Faulkner, “A phase retrieval algorithm for shifting illumination,” Appl. Phys. Lett. 85, 4795–4797 (2004). M. Guizar-Sicairos and J. R. Fienup, “Phase retrieval with transverse translation diversity: a nonlinear optimization approach,” Opt. Express 16, 7264–7278 (2008). P. Thibault, M. Dierolf, A. Menzel, O. Bunk, C. David, and F. Pfeiffer, “High-resolution scanning x-ray diffraction microscopy,” Science 321, 379–382 (2008). A. M. Maiden and J. M. Rodenburg, “An improved ptychographical phase retrieval algorithm for diffractive imaging,” Ultramicroscopy 109, 1256–1262 (2009). J. M. Rodenburg, A. C. Hurst, and A. G. Cullis, “Transmission microscopy without lenses for objects of unlimited size,” Ultramicroscopy 107, 227–231 (2007). J. M. Rodenburg, A. C. Hurst, A. G. Cullis, B. R. Dobson, F. Pfeiffer, O. Bunk, C. David, K. Jefimovs, and I. Johnson, “Hard-x-ray lensless imaging of extended objects,” Phys. Rev. Lett. 98, 034801 (2007). F. Hüe, J. M. Rodenburg, A. M. Maiden, F. Sweeney, and P. A. Midgley, “Wave-front phase retrieval in transmission electron microscopy via ptychography,” Phys. Rev. B 82, 121415 (2010). M. Dierolf, A. Menzel, P. Thibault, P. Schneider, C. M. Kewish, R. Wepf, O. Bunk, and F. Pfeiffer, “Ptychographic x-ray computed tomography at the nanoscale,” Nature 467, 436–439 (2010). A. Schropp, P. Boye, A. Goldschmidt, S. Hönig, R. Hoppe, J. Patommel, C. Rakete, D. Samberg, S. Stephan, S. Schöder, M. Burghammer, and C. G. Schroer, “Non-destructive and quantitative imaging of a nano-structured microchip by ptychographic hard x-ray scanning microscopy,” J. Microsc. 241, 9–12 (2011). 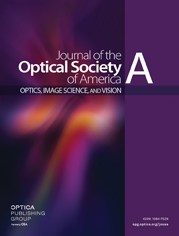 V. Mico, Z. Zalevsky, P. García-Martínez, and J. García, “Synthetic aperture superresolution with multiple off-axis holograms,” J. Opt. Soc. Am. A 23, 3162–3170 (2006). A. Kirkland, W. Saxton, K. L. Chau, K. Tsuno, and M. Kawasaki, “Super-resolution by aperture synthesis: tilt series reconstruction in CTEM,” Ultramicroscopy 57, 355–374 (1995). M. G. L. Gustafsson, “Surpassing the lateral resolution limit by a factor of two using structured illumination microscopy,” J. Microsc. 198, 82–87 (2000). J. W. Goodman, Introduction to Fourier Optics3rd ed. (Roberts, 2005), Chap. 6, pp. 162–167. M. Guizar-Sicairos and J. R. Fienup, “Phase retrieval with Fourier-weighted projections,” J. Opt. Soc. Am. A 25, 701–709(2008). R. W. Gerchberg, “Super-resolution through error energy reduction,” Opt. Acta 21, 709–720 (1974). H. Ur and D. Gross, “Improved resolution from subpixel shifted pictures,” CVGIP Graph. Models Image Process. 54, 181–186(1992). G. R. Brady, M. Guizar-Sicairos, and J. R. Fienup, “Optical wavefront measurement using phase retrieval with transverse translation diversity,” Opt. Express 17, 624–639 (2009). M. Dierolf, P. Thibault, A. Menzel, C. M. Kewish, K. Jefimovs, I. Schlichting, K. von König, O. Bunk, and F. Pfeiffer, “Ptychographic coherent diffractive imaging of weakly scattering specimens,” New J. Phys. 12, 035017 (2010). A. M. Maiden, J. M. Rodenburg, and M. J. Humphry, “Optical ptychography: a practical implementation with useful resolution,” Opt. Lett. 35, 2585–2587 (2010). G. O. Reynolds, J. B. D. Velis, G. B. Parrent, and B. J. Thompson, The New Physical Optics Notebook: Tutorials in Fourier Optics (American Institute of Physics, 1998), Chap. 13, p. 107. Y. Takaki and H. Ohzu, “Fast numerical reconstruction technique for high-resolution hybrid holographic microscopy,” Appl. Opt. 38, 2204–2211 (1999). J. Miao, D. Sayre, and H. Chapman, “Phase retrieval from the magnitude of the Fourier transforms of nonperiodic objects,” J. Opt. Soc. Am. A 15, 1662–1669 (1998). V. Elser and R. P. Millane, “Reconstruction of an object from its symmetry-averaged diffraction pattern,” Acta Crystallogr. A 64, 273–279 (2008). J. R. Fienup, “Reconstruction of a complex-valued object from the modulus of its Fourier transform using a support constraint,” J. Opt. Soc. Am. A 4, 118–123 (1987). J. R. Fienup, “Lensless coherent imaging by phase retrieval with an illumination pattern constraint,” Opt. Express 14, 498–508(2006). Fig. 1 The superresolution algorithm addresses diffraction patterns sequentially—estimates of the probe and specimen are updated a number of times equal to the number of diffraction patterns during a single iteration. This flow diagram illustrates one of these update steps, using the s ( j ) th diffraction pattern to form the jth probe and specimen estimates from the ( j − 1 ) th. These new estimates are, in turn, updated using the s ( j + 1 ) th diffraction pattern, and so on, until each diffraction pattern has been addressed, completing a single iteration of the algorithm. Fig. 2 Experimental setup used for the presented results. The specimen was mounted on a computer-controlled motorized x / y stage and the lenses were achromatic doublets. Alignment of the system led to different values for z for the various experiments, as detailed in the text. Fig. 3 Example of a diffraction pattern recorded for (a) dataset 1, using a weak diffuser, and (b) dataset 2, using a strong diffuser. Fig. 4 (a) Crop corresponding to the central 350 μm 2 of the 1 mm 2 ePIE reconstruction using the full 128 × 128 extent of each diffraction pattern in dataset 1 (subsequent reconstructions are similarly cropped). The scale bar here and in every figure is 100 μm . (b) ePIE reconstruction using only the central 32 × 32 pixel region of each diffraction pattern in dataset 1. (c)–(f) SR-PIE reconstructions using only the 32 × 32 central pixels from the diffraction patterns in dataset 1 to attempt recovery of the remaining recorded data. The algorithm was implemented with and without restriction of high spatial frequencies and subpixel shifting of the probe: (c) without either constraint; (d) without high spatial frequency restriction, but with subpixel shifts; (e) with spatial frequency restriction, without subpixel shifts; (f) with both constraints. Fig. 5 Evolution of the error metric E over 1000 iterations of the SR-PIE. Circles, no subpixel shift or high spatial frequency suppression. Squares, subpixel shift, no high spatial frequency suppression. Triangles, no subpixel shift, including high spatial frequency suppression. Crosses, both subpixel shifts and high spatial frequency suppression. Fig. 6 Analysis of the high spatial frequency content recovered by the SR-PIE. (a) The square root of a randomly chosen diffraction pattern as recorded by the detector. The square indicates the extent of the data that was extracted and input to the SR-PIE. (b) Estimate of the same diffraction pattern recovered by the superresolution process, showing speckle structure in agreement with (a). (c) Combined error, E Ψ , at each pixel location of every recovered diffraction pattern. The circle corresponds to the spatial frequency of the finest features well resolved in Fig. 4f (group 6, element 3). (d) Radial average of (c); the dashed line indicates the extent of the recorded data. Fig. 7 (a) and (b) Modulus and phase of the up-sampled ePIE probe reconstruction used as the seed input to the SR-PIE. (c) and (d) Modulus and phase, respectively, of the superresolved probe function. Fig. 8 (a) Crop from the modulus of the ePIE reconstruction using the full 128 × 128 pixel extent of the diffraction patterns comprising dataset 2, up-sampled by 4 times using a bicubic spline method. This result was used as the seed input to the SR-PIE. (b) Crop from the same area of the superresolved reconstruction and (inset) a magnification from the center of this image showing that group 8, element 5 is resolved. The inset has been up-sampled by 4 times to show clearly the finest resolved features. Fig. 9 (a) Example of an extrapolated diffraction pattern that resulted from the SR-PIE. The square indicates the extent of the detector. (b) Power spectrum of the reconstructed image of the resolution target, plotted on a log scale—the circle has a radius of 406 lp / mm , equating to group 8, element 5 of the target. Fig. 10 (a) and (b) Modulus and phase of the lily pollen images reconstructed using the conventional ePIE. (c) and (d) Superresolved modulus and phase images produced by the SR-PIE. Fig. 11 The degree of superresolution that can be achieved by the SR-PIE is a function of the amount of overlap between the areas of the specimen illuminated by the probe. To generate this figure, ptychographical scans using step sizes of 30 (triangles), 20 (squares), and 10 μm (circles) were recorded and reconstructions were carried out using a central square of each diffraction pattern, whose width was as indicated on the x axis. The insets show crops from the modulus of the reconstructions resulting from the scans indicated by arrows. The dashed vertical lines indicate where σ pty = 1 .